One 14 karat yellow gold bangle. 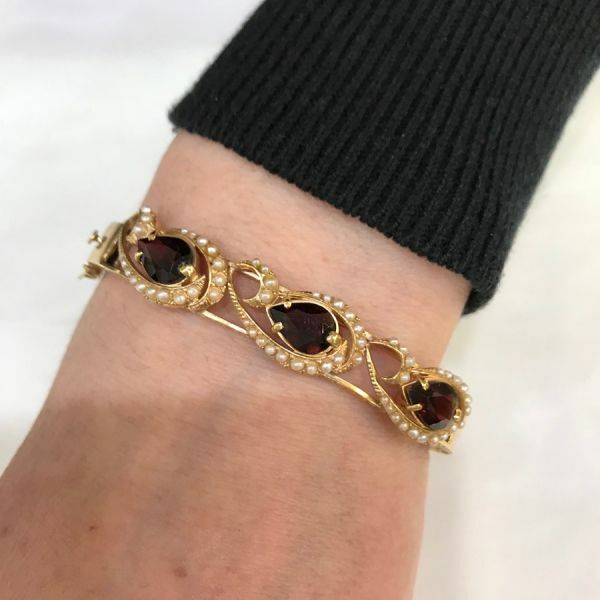 Three garnets (5.85 carats). Fifty-nine pearls.